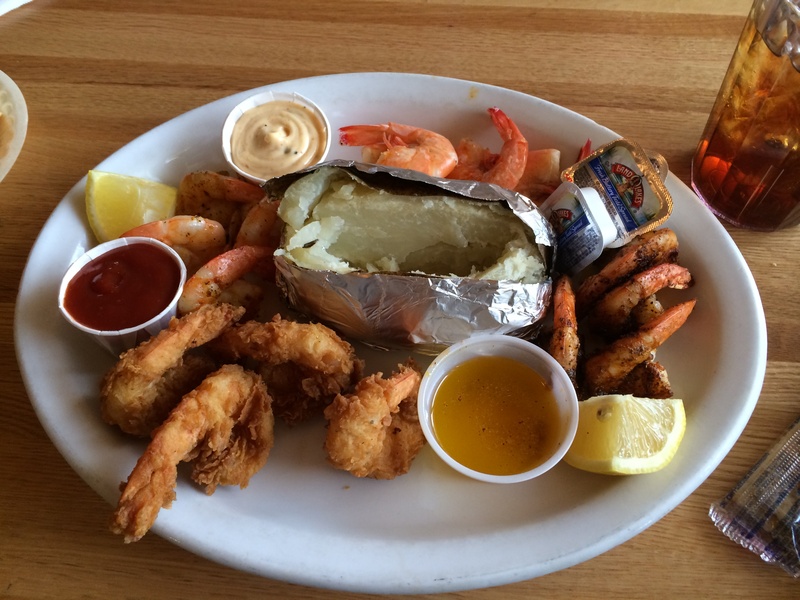 By Dianna P. & Norma L.
Since February 14, 1997 when Don, Sam and Clay Weems decided to “cast aside the frying pan” and open Waterfront Grill, they have been serving up quality seafood and steaks that are grilled, baked or sautéed to perfection! 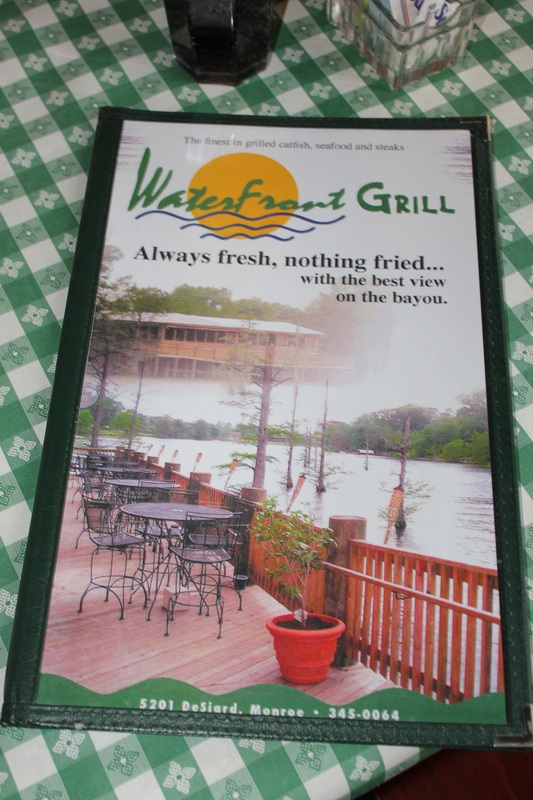 The Waterfront Grill provides relaxing view of the tranquil Bayou DeSiard. You will find plenty of sports memorabilia in the restaurant. ULM is located just across the bayou. Starting with appetizers, patrons are mostly drawn to the famous “Oysters Weemo” but on our adventure we decided to try the Barbeque Shrimp. We do believe it has now moved into the number 1 spot! It is perfectly spicy and with each bite you can’t wait until the next one. 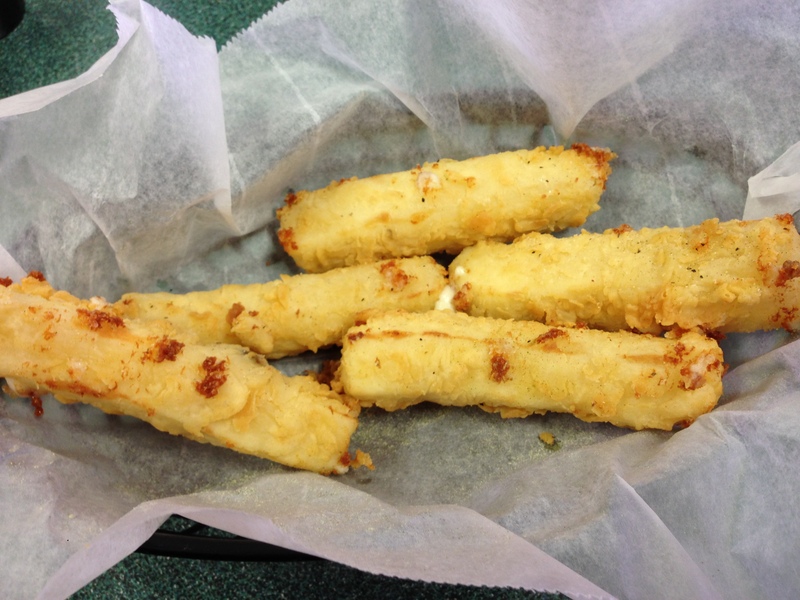 It comes with crunchy garlic bread that is perfect for soaking up the delicious sauce. The portion size is generous enough for two to share. For entrees, we chose the 6 oz. 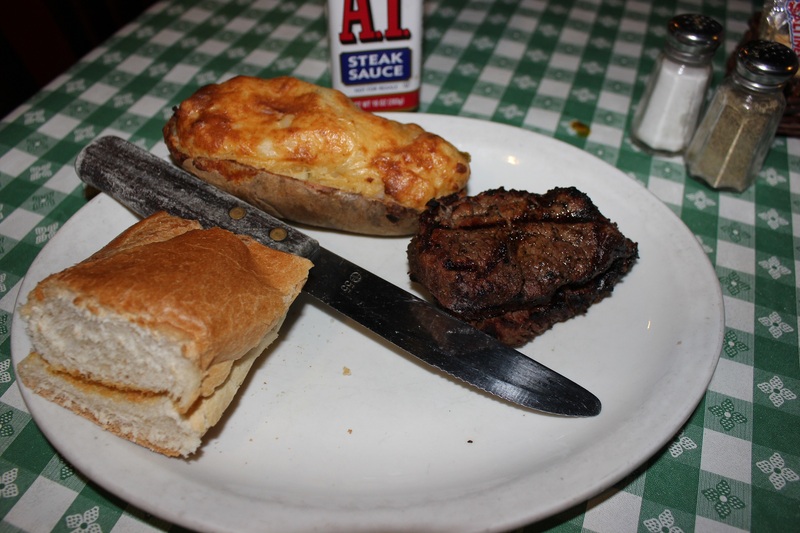 filet with a stuffed potato and the famous Catfish DeSiard. The filet was cooked to order and was tender and juicy. 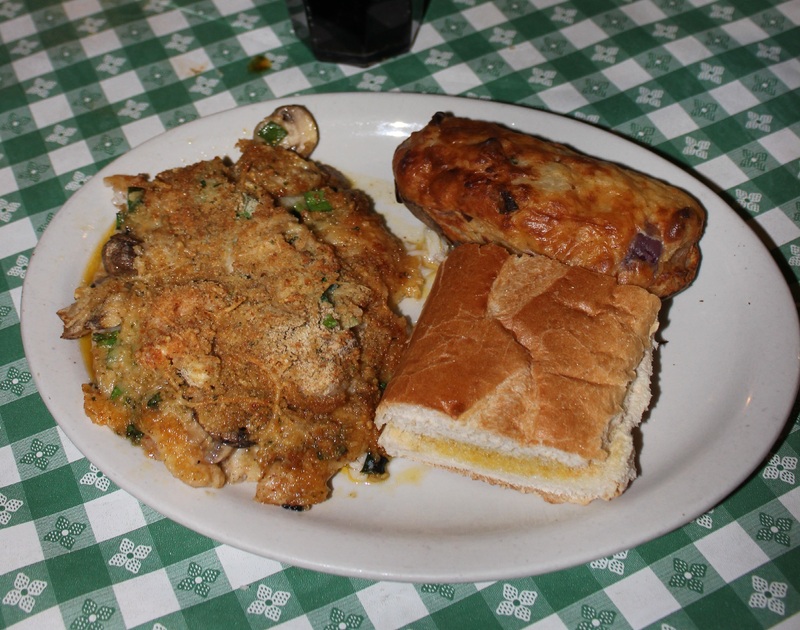 The Catfish DeSiard was 3 baked catfish filets piled high with seasoned bread crumbs, green onions, parmesan cheese, mushrooms and shrimp. 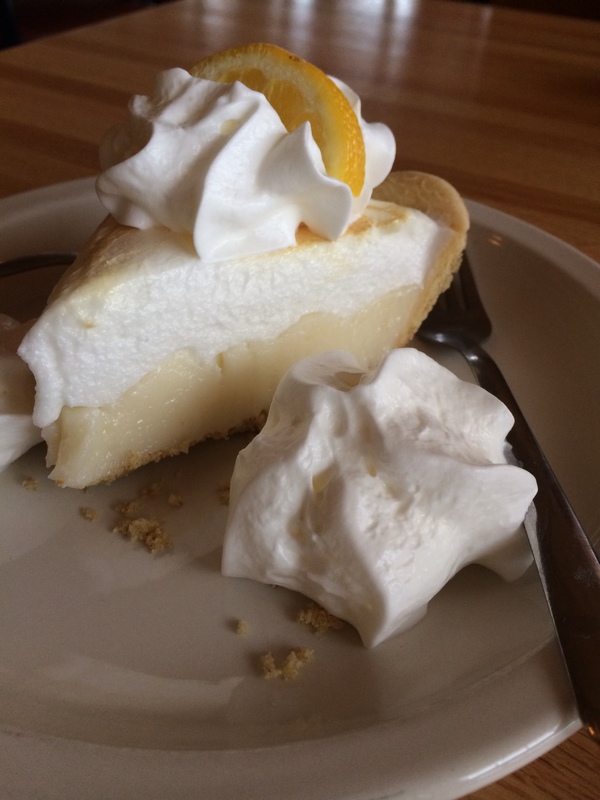 An outing at Waterfront Grill is not complete without one of their wonderful desserts. 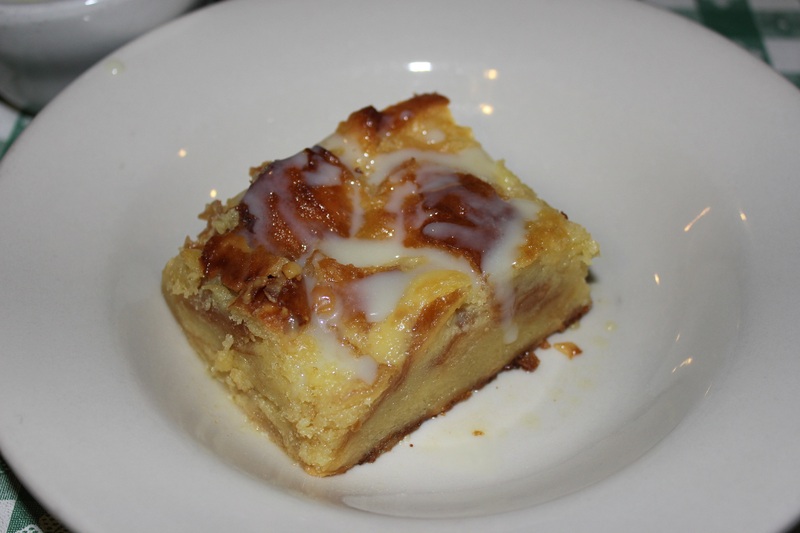 The White Chocolate Bread Pudding is the way to finish the meal. It is warm and creamy and well, what else can we say…You gotta try it! The service is always superb, the portions generous, you can ask for lunch-size portions if you would like. Daily lunch specials are available as well as ordering off menu. 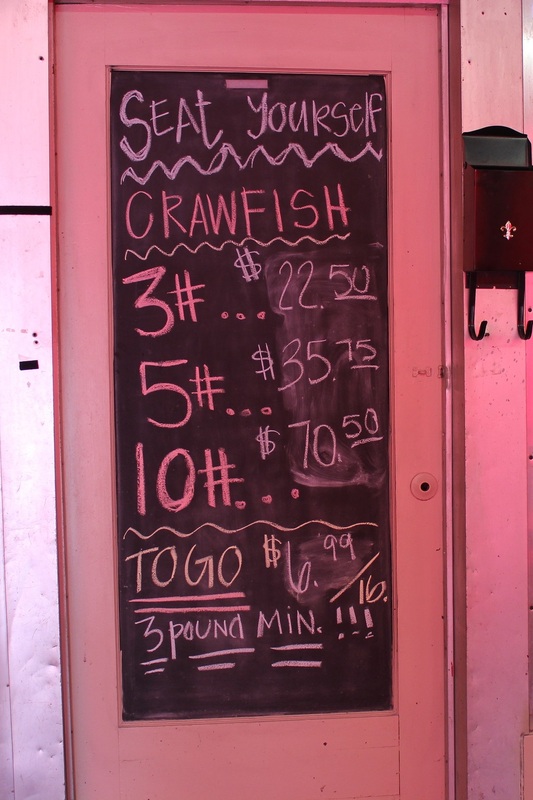 Nightly specials are offered too. Waterfront Grill is open Monday-Thursday: 11am-9pm, Friday and Saturday: 11am-10pm. by Sylvia B. & Sheila S.
Daily Harvest has had a long standing reputation in Monroe-West Monroe as the place to go when looking for a healthy meal. Owner Philip Thigpen delivers that with his “good food, and by the way, it’s healthy” approach to his menu. “People want to eat healthy food without eating the same thing,” Philip said. So they have broadened their menu with delicious food options that are not only tasty, but good for you too. The atmosphere is casual and friendly. And the staff is too. Walk up to the counter and check out their menu. 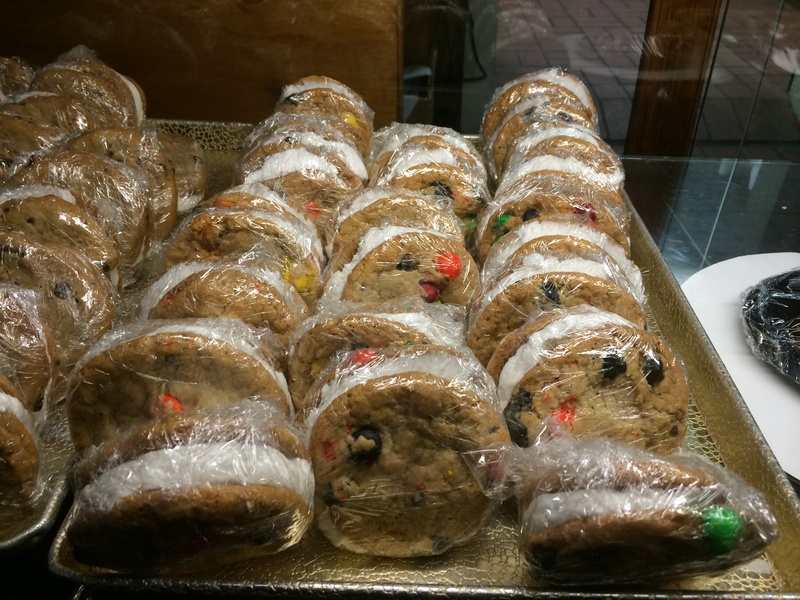 It’s a perfect set-up because you can check out their baked goods like cookies and freshly made bread while you decide what to order. 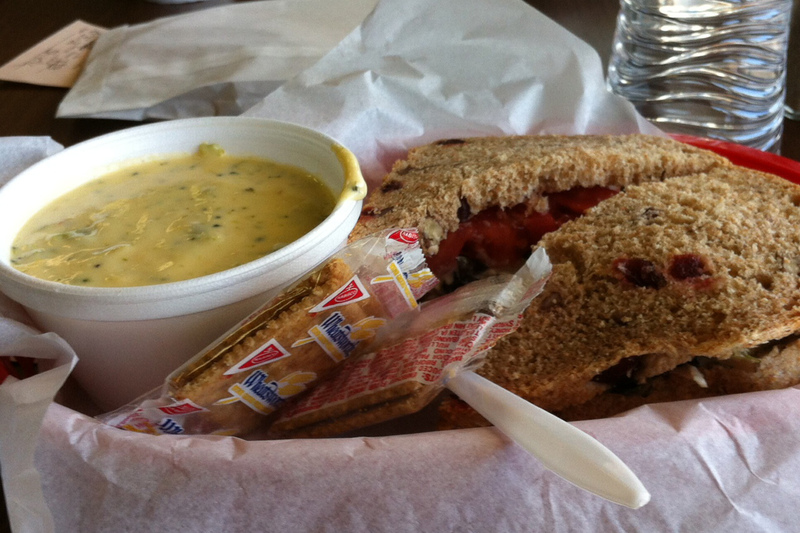 At the suggestion of a co-worker, Sylvia ordered the chicken salad on homemade Cranberry Pecan bread and a cup of Broccoli Cheese Soup. The sandwich was better than promised, especially with their freshly made bread, and the soup was warm and just plain good! I had checked out the daily specials on their website and could not wait to try the Jalapeno Cornbread Stackup. 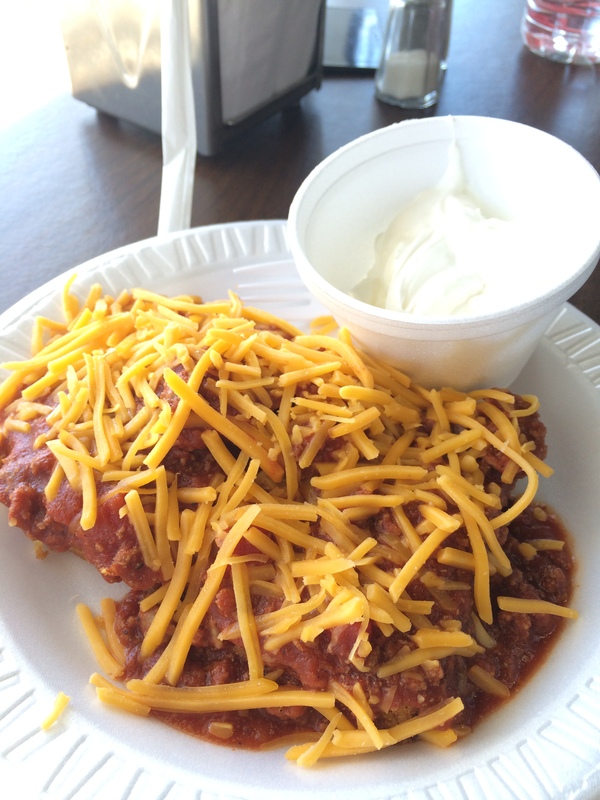 They top their jalapeno cornbread with turkey chili, cheese, sour cream, and a few more jalapenos. 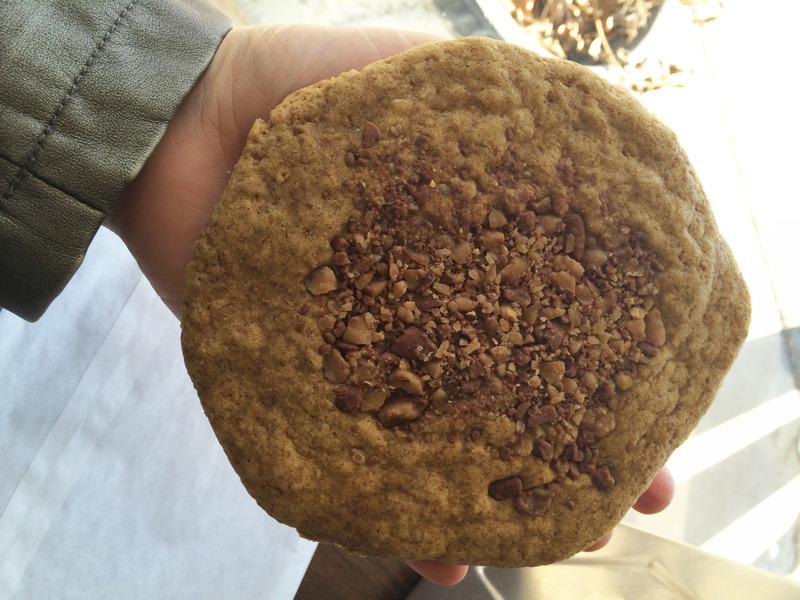 I also finished my meal with a huge cookie. And by huge, I mean HUGE! (Just look. It’s as big as my hand!) 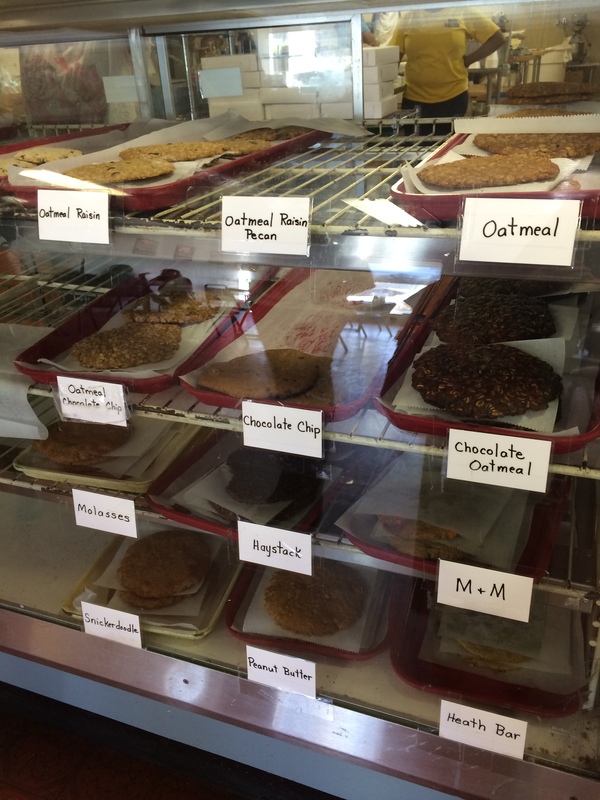 You can choose from Oatmeal, Chocolate Haystack, M&M, Ginger Molasses, Oatmeal Peanut Butter, and more. I chose the Heath Bar. Menu options include breakfast sandwiches and wraps, salads, sandwiches (both hot and cold), soups, pizzas, and a hot sandwich special of the day. They have a full catering menu too! 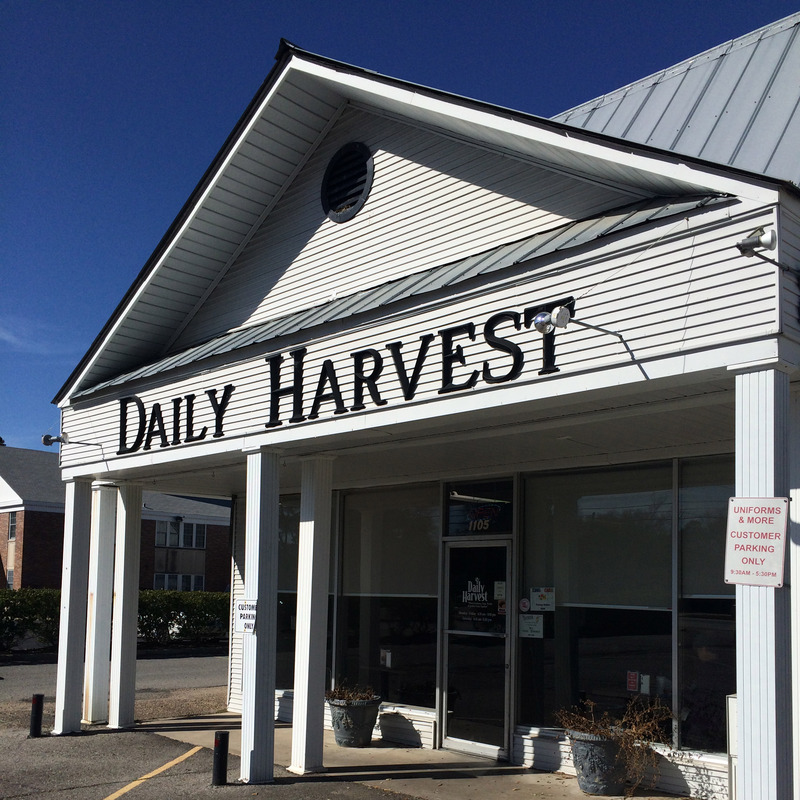 Daily Harvest is open Monday-Saturday from 6:30 am to 8:00 pm. Cormier’s is a family owned restaurant that was previously a gas station. The Cormier family acquired the property and turned it into the family restaurant you see today on Forsythe Avenue. It is still a family affair with Jamie Cormier running the day to day operation. 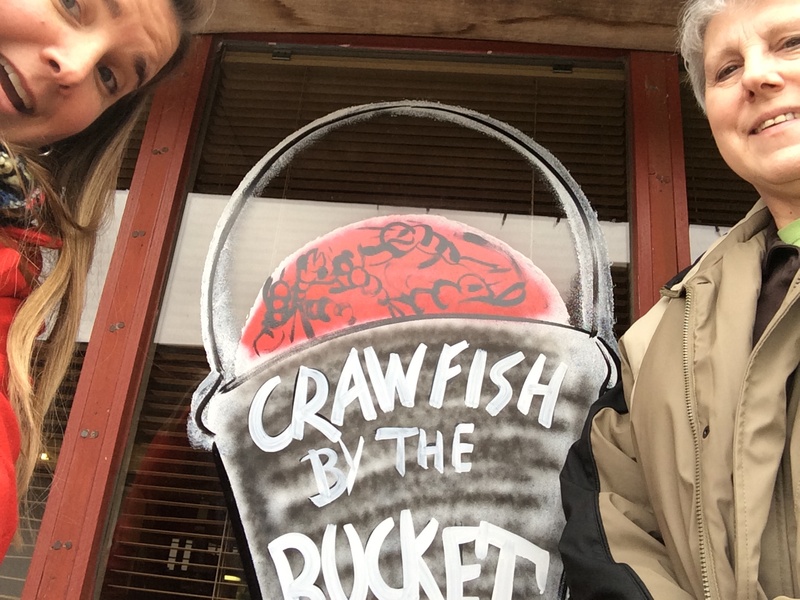 Their most popular item is boiled crawfish which has been voted #1 in the Twin Cities since 1989 and that is evident by the tremendous crowds that come eat there. 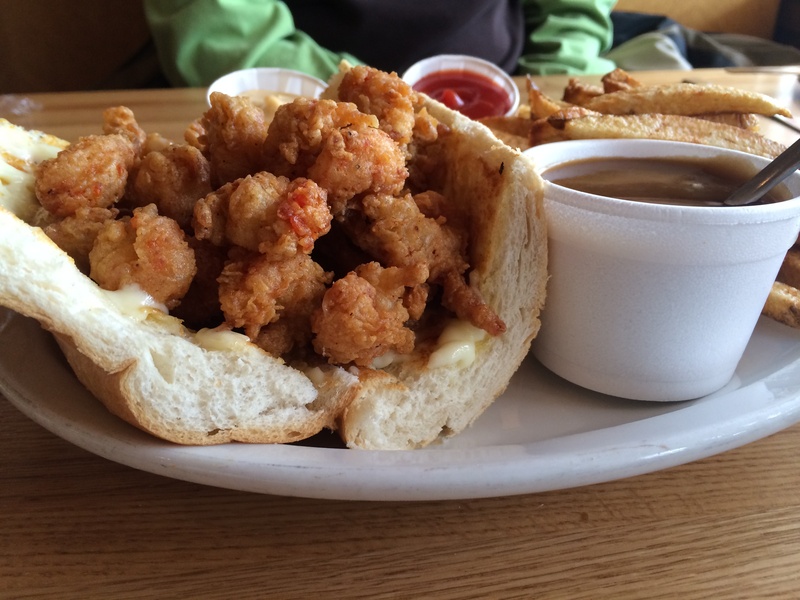 The crawfish might be their most popular menu item but is followed closely by their famous Pig Sandwich, made from delicious pulled pork and their own special sauces. 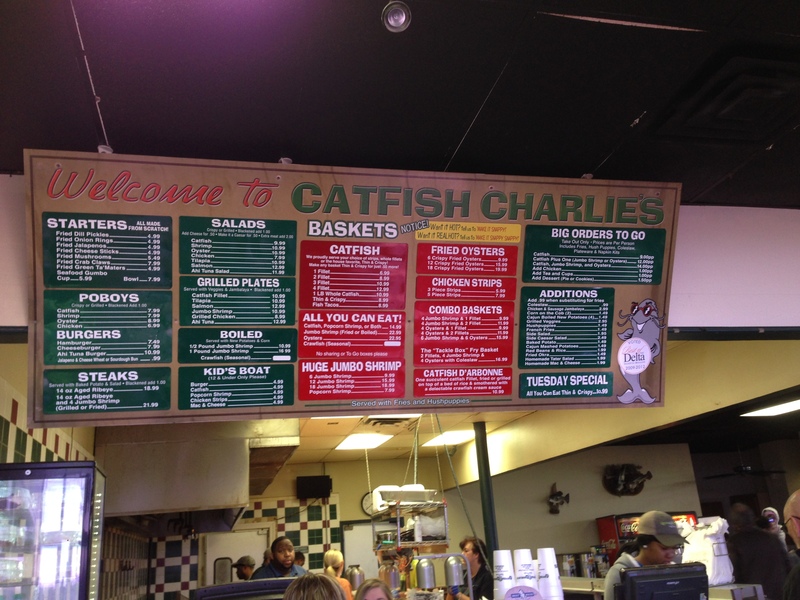 You can also find an assortment of salads and blackened fish on their menu for looking for a healthy option. 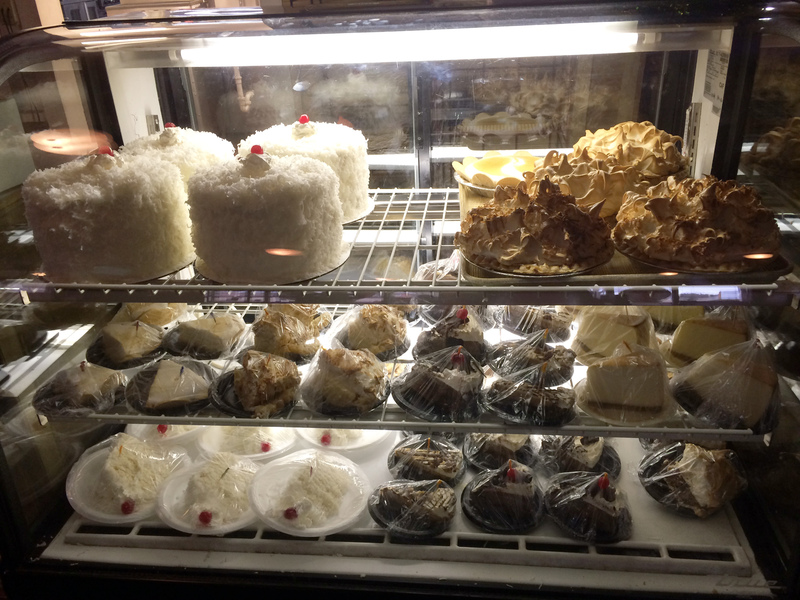 However, if you are so inclined, we suggest trying their bread pudding for dessert as it is truly delicious. 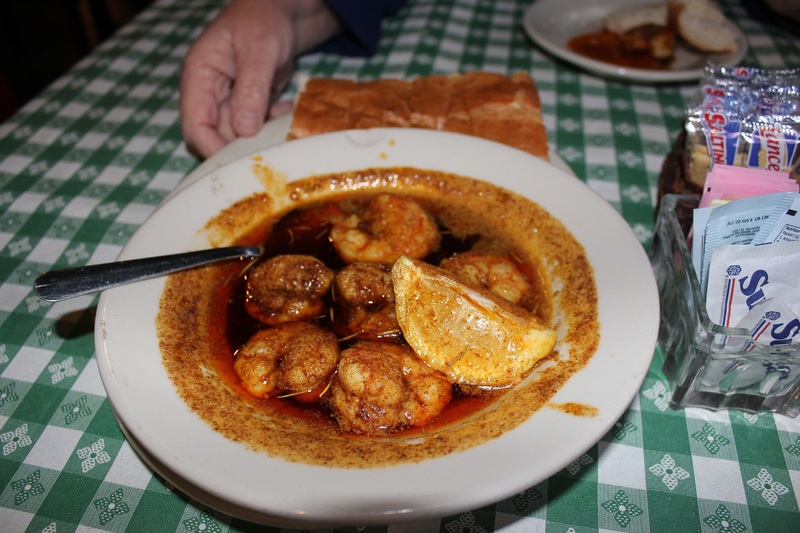 Boiled crawfish can be found on the menu from the end of January to the end of June. Cormier’s closes the month of August for little R&R but open back up in September to starting serving boiled blue crab thru October. Jamie mentioned they have a very active catering business in addition to the restaurant including frying over 1,300 turkeys in 2013 during the holiday season. 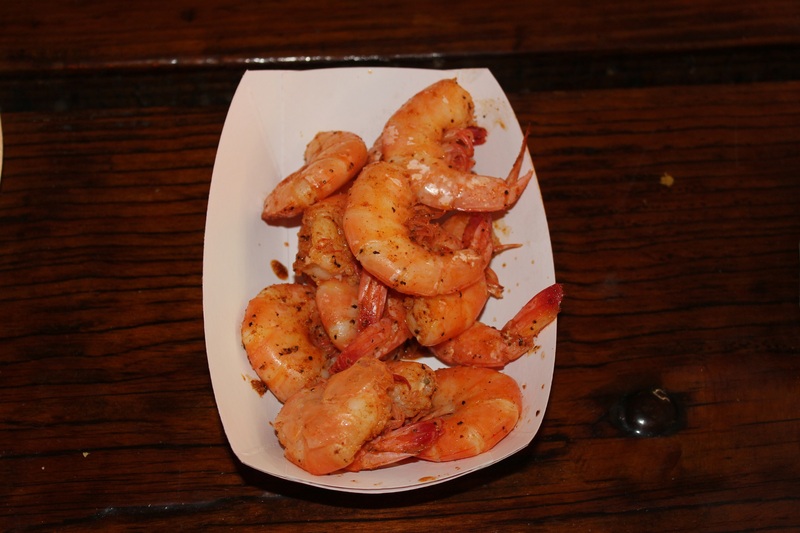 For appetizers, we recommend boiled shrimp; they had a great favor, were easy to peel and are a great starter for your main meal. 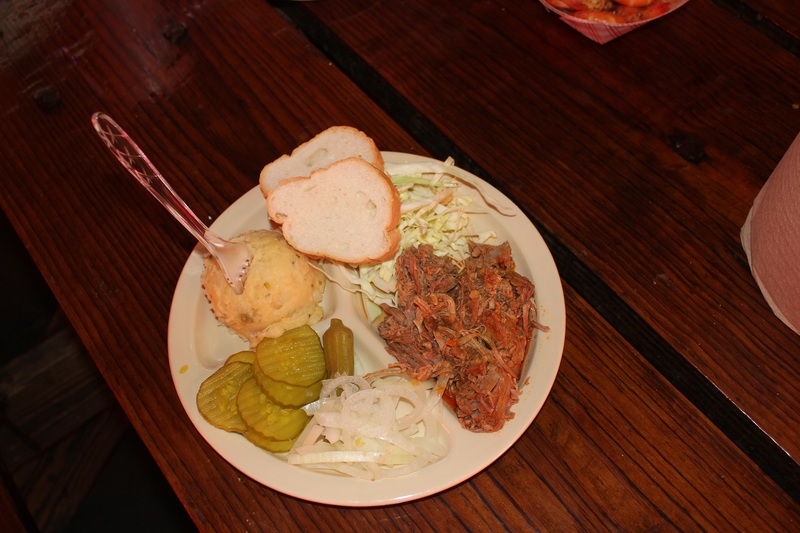 I had the Pig Sandwich which is pork roast cooked in a spicy, savory sauce served on French bread and dressed with mayonnaise, mustard, pickles, onions and topped with vinegar cabbage. If that sounds mouth watering, you are right! It was terrific and for a very reasonable price of $6.99. 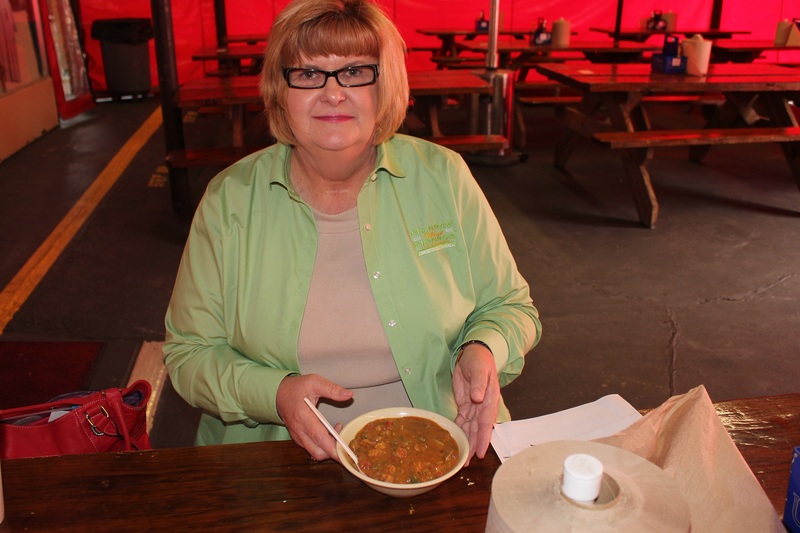 Norma tried a bowl of the crawfish etouffee over rice, which is another crowd pleaser according to our friendly and knowledgeable server Sarah. According to Norma, it was every bit as good as advertised. 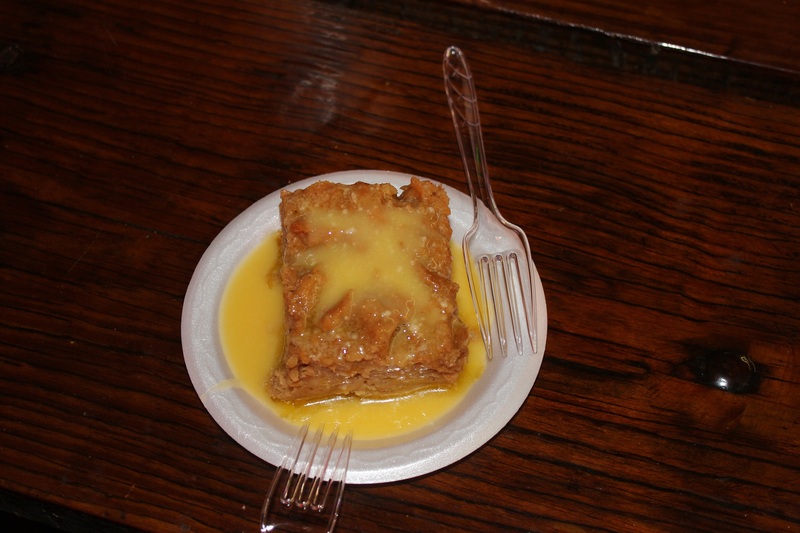 We enjoyed the bread pudding for dessert and it is worth saving some room for it. It is a great way to finish off your meal. 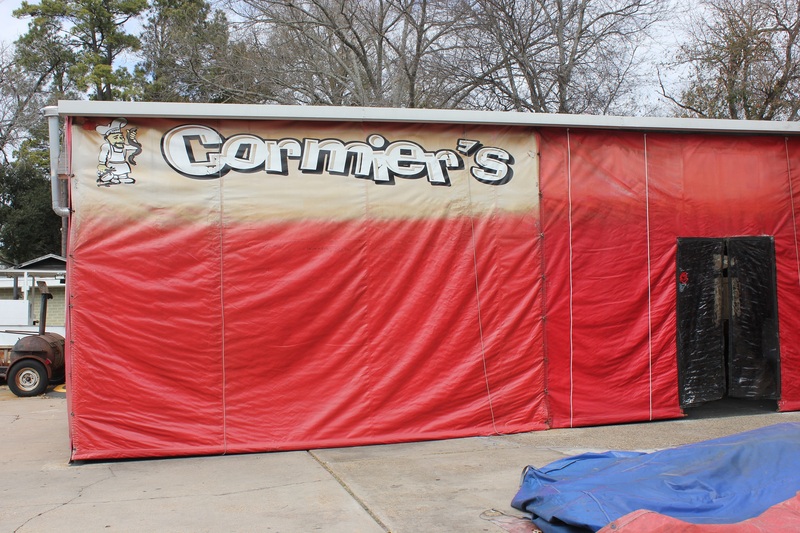 Cormier’s is located at 1205 Forsythe Avenue in Monroe, Louisiana. 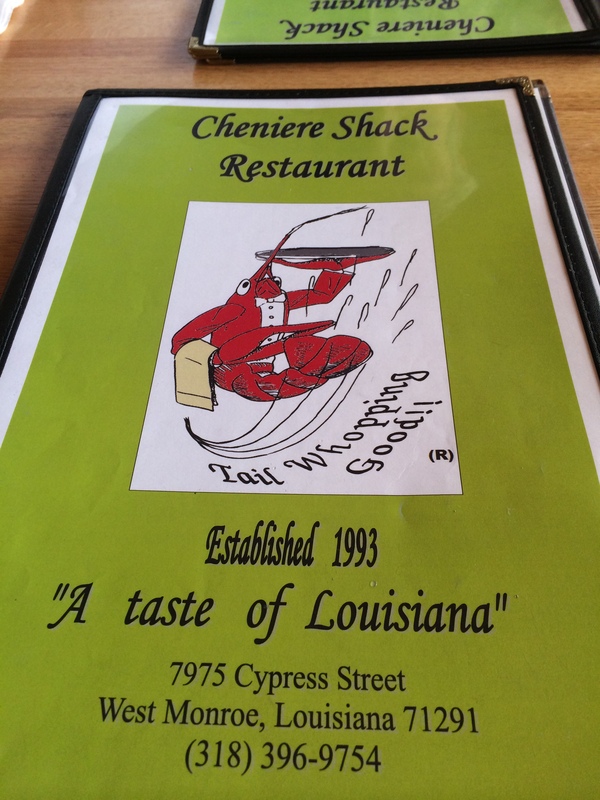 They are open Tuesday- Saturday 11:00 am until 2 pm for lunch and then open back up at from 4:30pm till 9pm during crawfish season and Sunday they are open from 3pm- 8pm. By Austin B. & Norma L.
Located about one mile from the up and coming downtown Monroe on DeSiard Street, Lindz’s Café is a home cooking lovers’ kind of place. Owned by Tex Mahon, an ex-military chef, the restaurant is the perfect place for him to provide savory, simple, country dishes that any native of the south will find comforting and fulfilling. 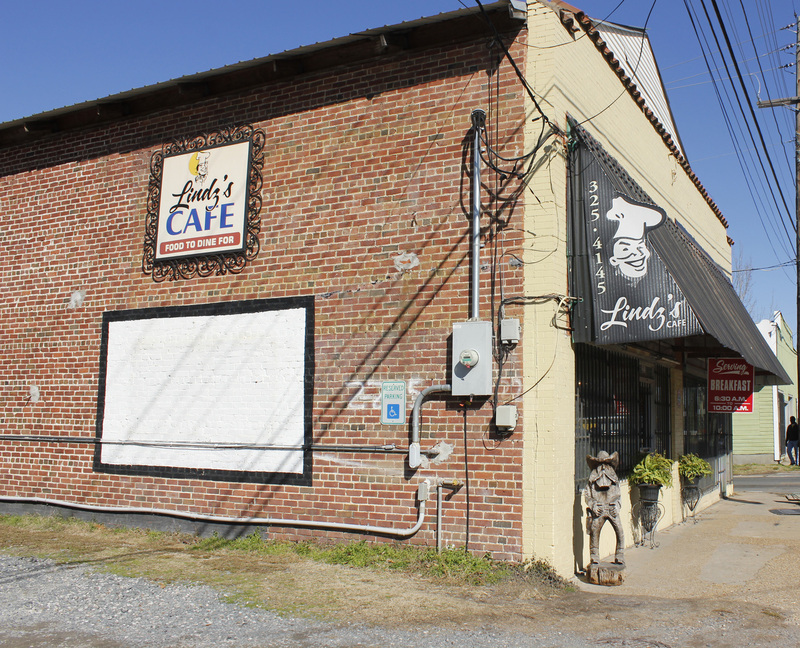 Lindz’s Café, pronounced (Lind-sy) started out as Faser’s Pharmacy in the 1920s. 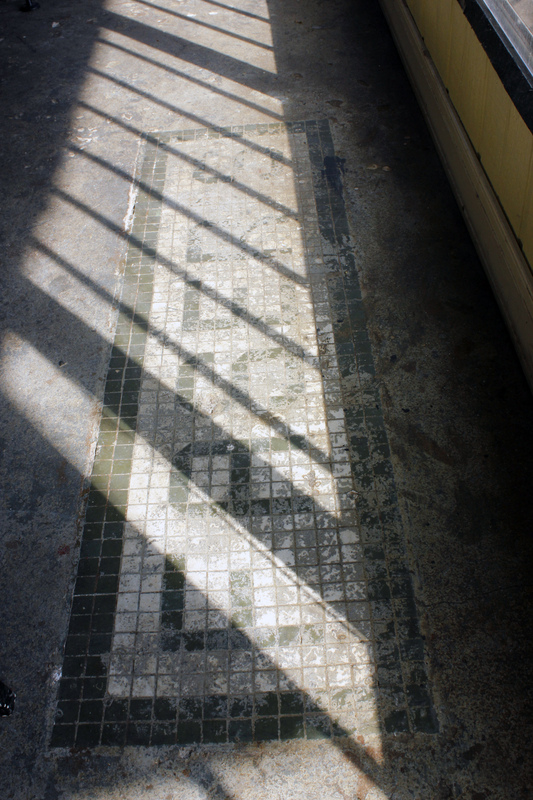 The original tiled Faser’s logo is in-set in the floor of the restaurant, surviving the change from the pharmacy to Snow White Cleaners in the 50s, to a laundry mat in the 80s and 90s. The almost one hundred year old building is well suited for a restaurant whose emotional core is that of stepping back through time. When you enter the restaurant, you immediately find a wave of nostalgia for days gone by intoxicating. Many eclectic and interesting antiques decorate the walls, and are used to bring a warmth and homey feel to the cafe. The miss matched chairs and tables may seem out of place in another space, but here it feels comforting. It reminds one of the acquired furniture over long periods that fill the home of maw maw and paw paws’ house. 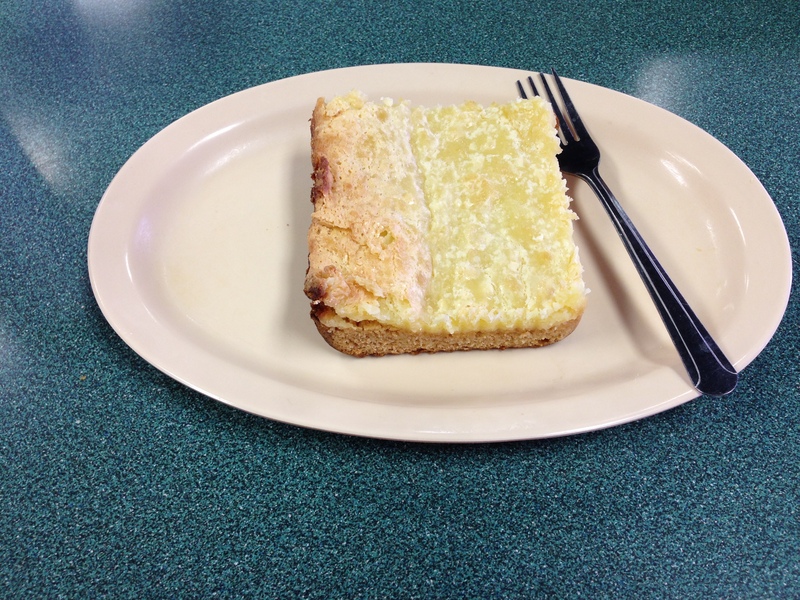 Lindz’s Café is open for breakfast (6:30-10:00) and for lunch (11:00-2:00). The breakfast is made fresh every morning. You can drop in for the “Early Bird Special” and have coffee, eggs, bacon, grits, and toast, or give Lindz’s Café a call and they will deliver your order to you. Lunch is set up buffet style with specials each day to choose from. 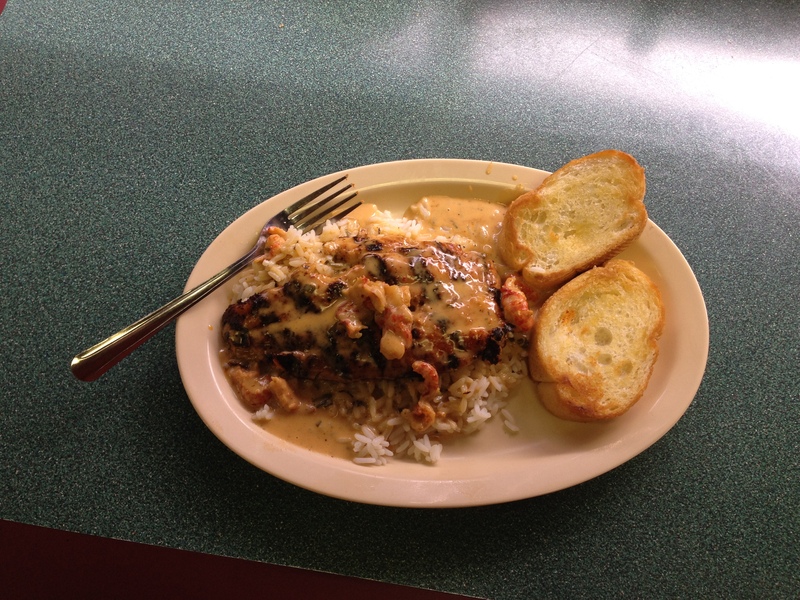 On Mondays, for example, choose from inside-out bell peppers, chicken smothered pork steak, or tips. 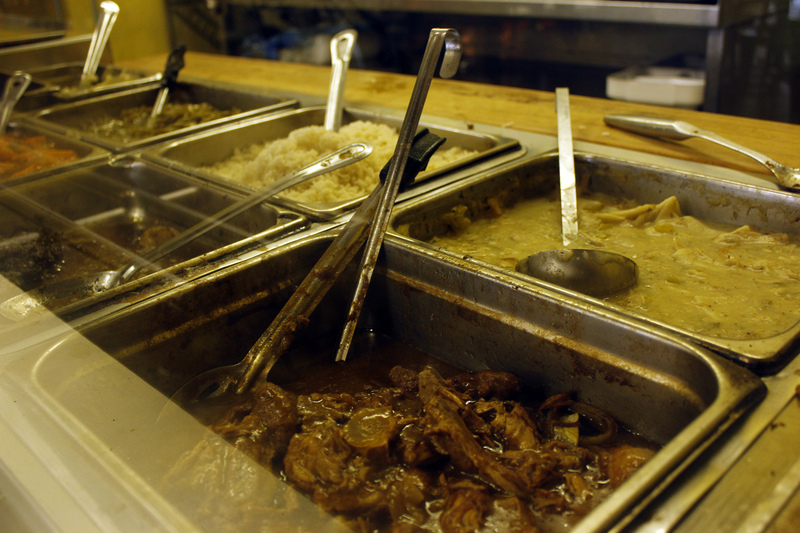 The buffet is always loaded with fresh vegetables cooked southern style: sweet corn, black-eyed peas, yams, and mashed potatoes covered in a cream or brown gravy . If buffet is not your style, then Lindz’s Café is happy to let you pick an item off their menu. 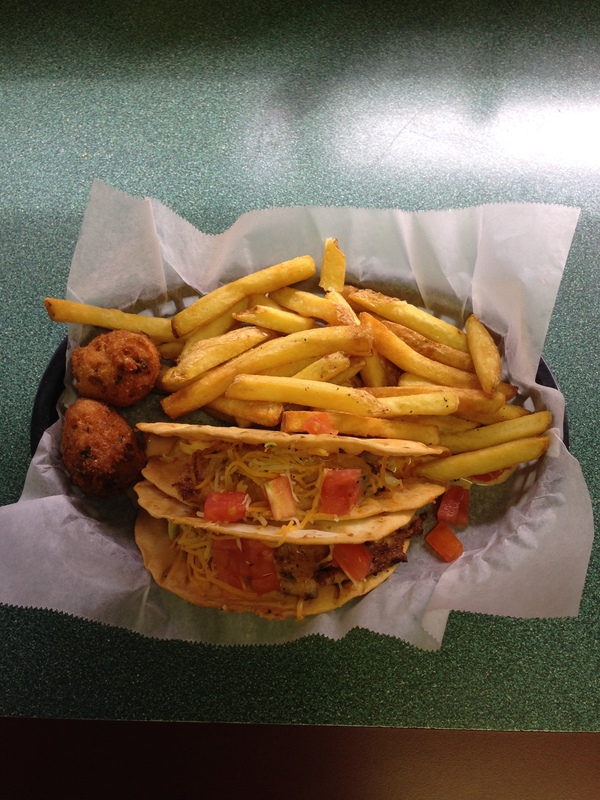 Sandwiches, homemade daily beef burgers, fish tacos, po-boys and their hand battered crispy onion rings are brought out quick, fresh, and hot by a smiling server with a great personality. 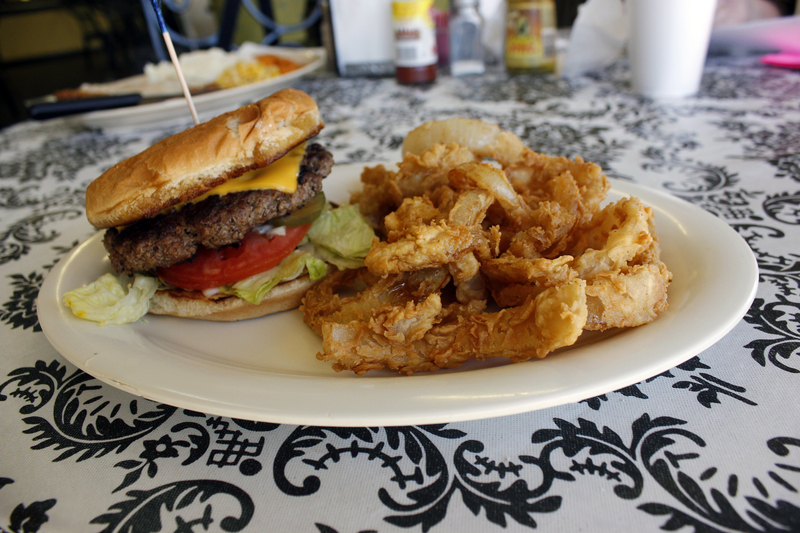 Lindz’s Café’s burgers are one of their specialties with claims by the regulars that it is the best burger in town. The burger patties are handmade every morning, grilled and come served with a butter toasted bun and trimmings. You can get their famous onion rings as a side. 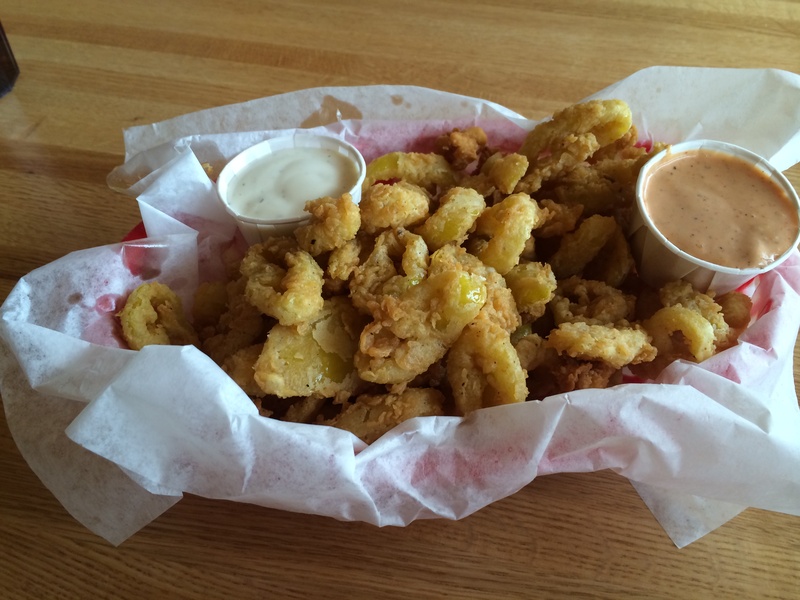 The huge onions are dipped in a homemade batter, and fried into thick onion rings that are crispy and crunchy. Another great item to choose off the menu is the classic chicken fried steak. This large cut steak is battered and flash fried to perfection. The chicken fried steak is covered in a tasty, well-seasoned, flaky crust. The steak itself is fork cut tender and melts in your mouth. It is a tricky thing to get a chicken fried steak not to be dry and chewy. Chef Tex has the chicken fried steak down perfectly and is proud to promote that he adds no extra salt to any of his dishes saying jovially “That’s what that salt and pepper shaker on the table is for…”. 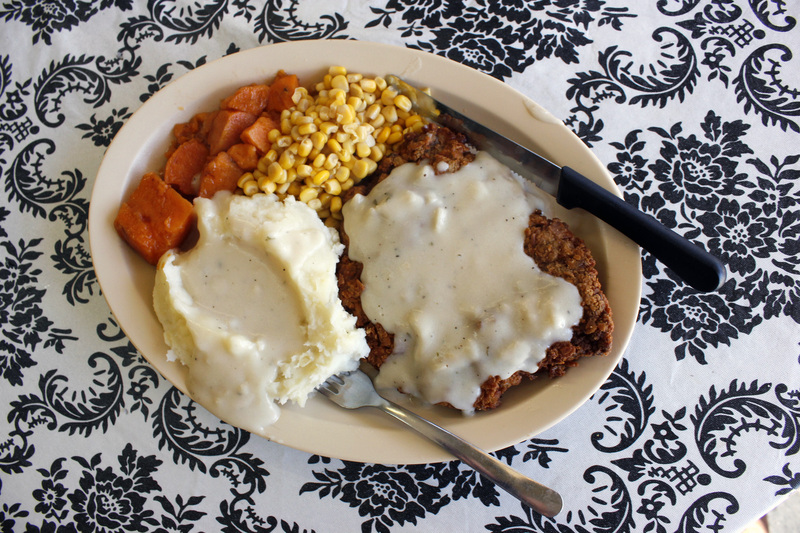 The chicken fried steak is covered with white country gravy that is a perfect complement to the steak. Get the steak with a side of the sweet yams that are thanksgiving worthy and fluffy creamy mashed potatoes. 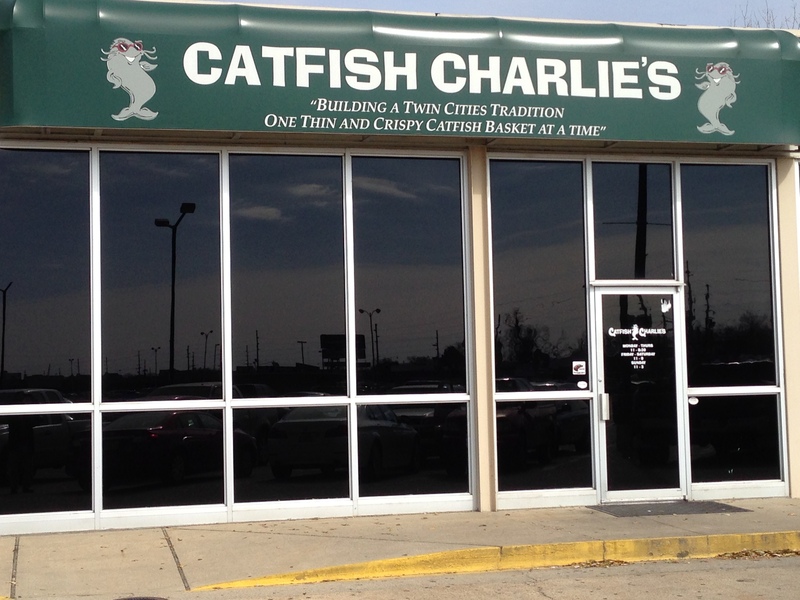 It is a great mid-day meal with prices ranging from around $3.00 to $8.00. Lindz’s Café is open every weekday and, due to popular demand, some Saturdays. 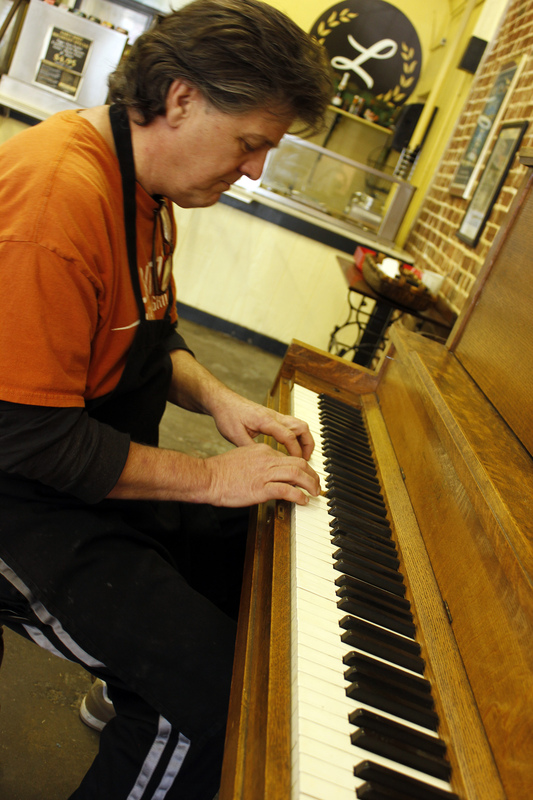 Go in, grab a great lunch, and if you ask nicely, owner and chef, Mr. Tex Mahon may play you a song on his newly acquired piano. By Sylvia B. & Georgie H.
Lunch time and we needed a place to eat, something different, a place that we have never gone before. We mutually agreed to go the Mohawk Seafood and Tavern. We started on our way! 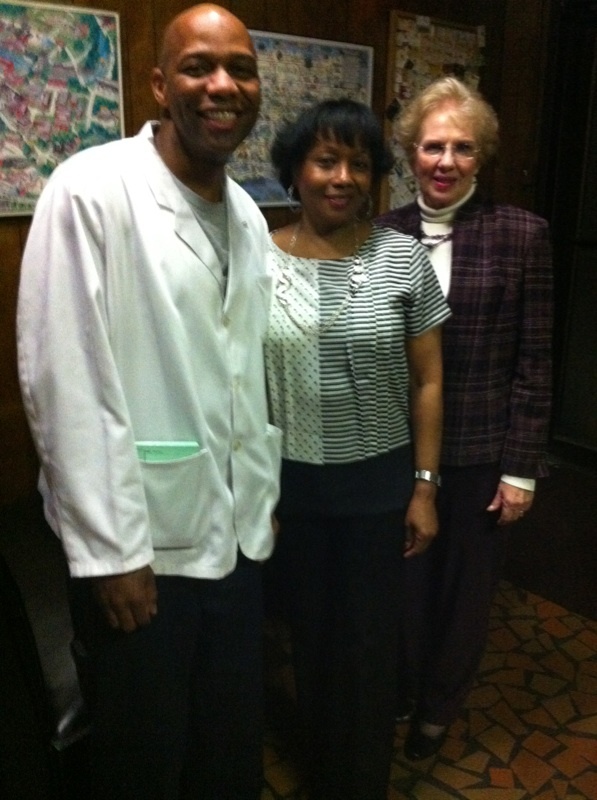 Once we arrived we were greeted and seated by our waiter Lee Carter, all decked out in his white coat. 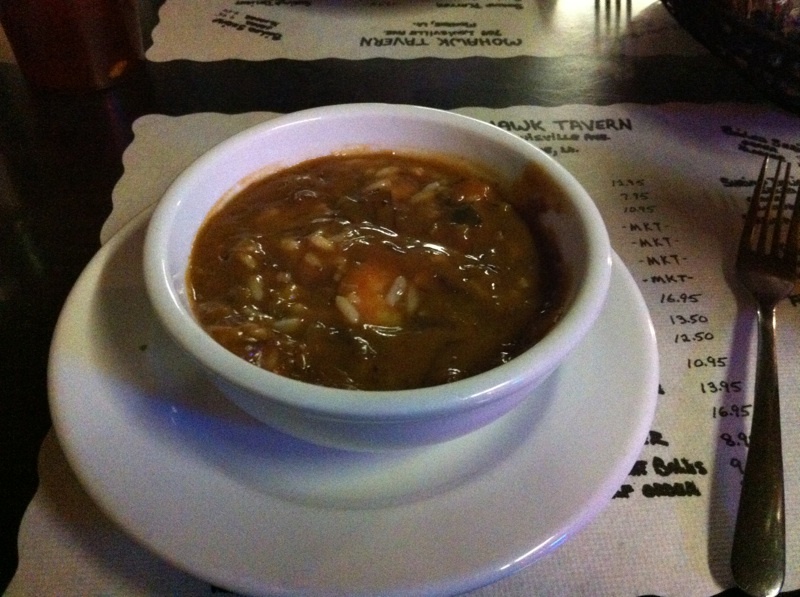 Once seated, we knew right away that we would try the famous seafood gumbo that we had heard so much about. Once eaten, we agreed that it was a bowl of deliciousness. 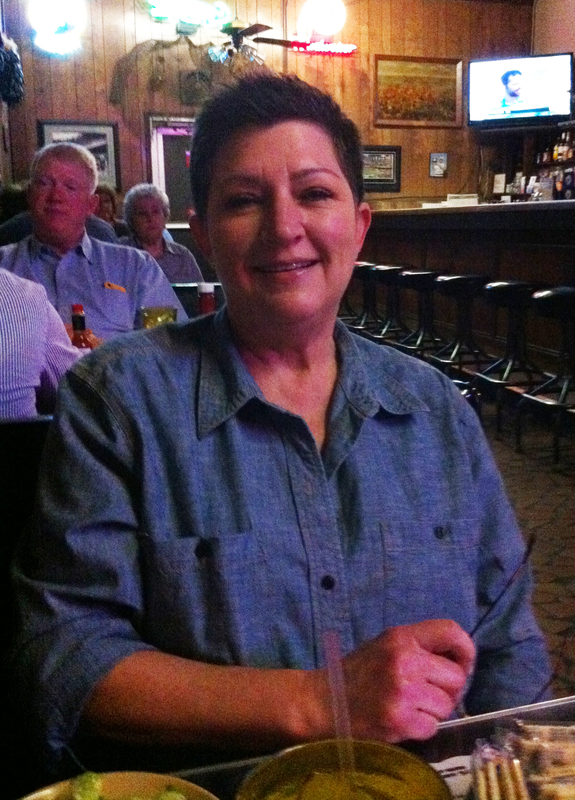 The Mohawk is a well-established restaurant that opened in 1952 in Monroe, Louisiana. Before ordering our entrée, we talked to Ann Norman who gave us a brief history of the restaurant that has been owned and operated by the Norman Family for 62 years. 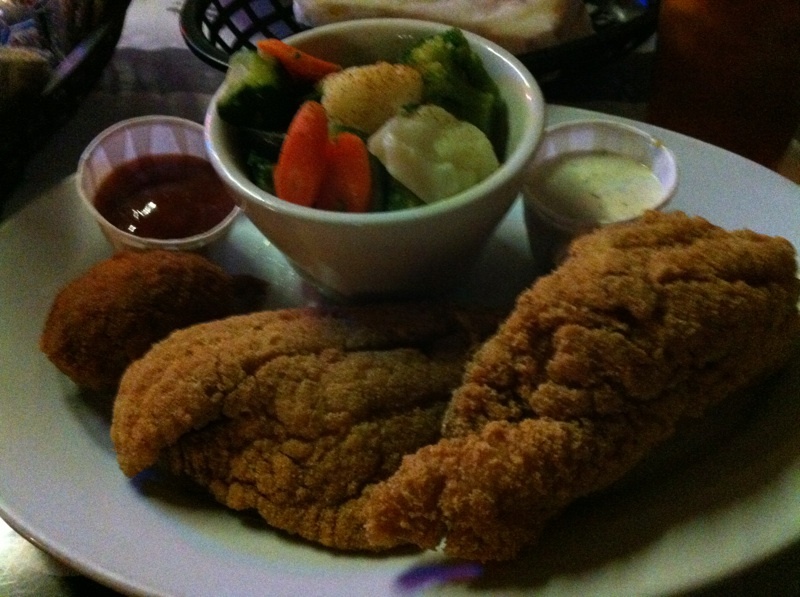 For our main entrée, one of us ordered the grilled salmon with steamed vegetables as a healthy choice and the other choice was the seafood combination platter (fried catfish and stuffed shrimp). The portions were good and plenty. 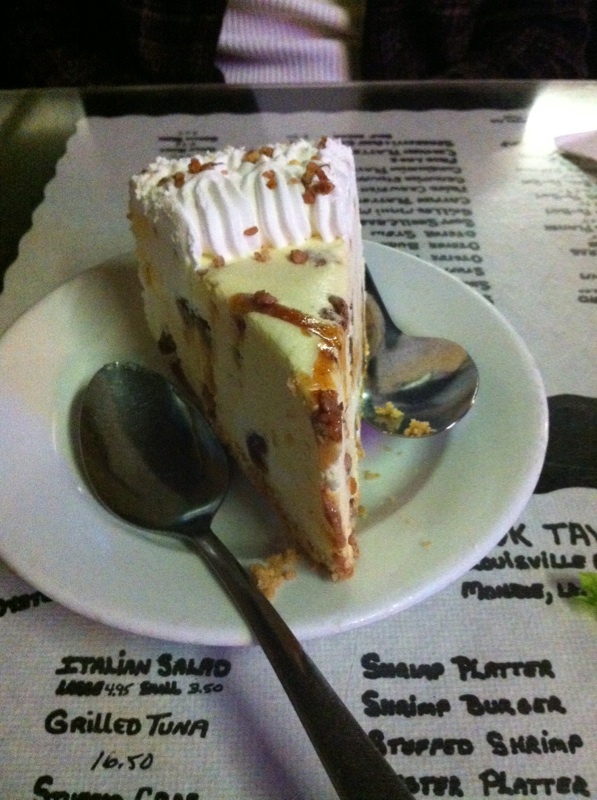 There’s always room for dessert so we shared a slice of Banana Foster Ice Cream Cake. Umm, Umm good! If you have not tried the “Mohawk” it’s your turn to go. You can order from the menu or try one of the daily specials. Shout out to Ann Norman and Lee Carter! We enjoyed our lunch!